CHALMETTE, La. — In a sugar cane field along the meandering Mississippi River just outside New Orleans, La., two hundred years ago, Citizen-Soldiers fought along side Choctaw Indians, free African-Americans and criminal privateers, prevailing against the most powerful army in the world. The Battle of New Orleans was the last major conflict of the War of 1812. The outcome ended the last war with England, preserved a claim to the Louisiana Territory, triggered migration and settlement along the Mississippi River and rebuilt the spirit of the American people. 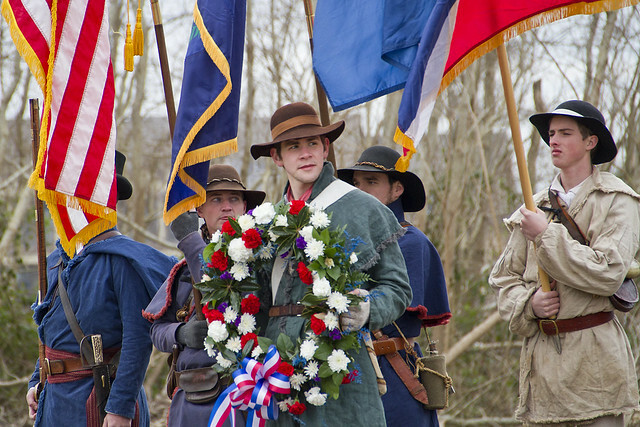 In a celebration of unity, the 200th anniversary of the battle was commemorated at the Chalmette Battlefield and nearby locations, Jan. 8-9, 2015. January 8 was celebrated as a national holiday for years after the battle, like a second Fourth of July. And so the story goes, the War of 1812 was like a second American fight for Independence. The hastily assembled American army of Soldiers, Marines, militiamen, Native Americans and pirates won the day for Gen. Andrew Jackson. 200 years later, representatives from the motley elements of that army gathered to pay tribute to fallen ancestors and the end of the war. 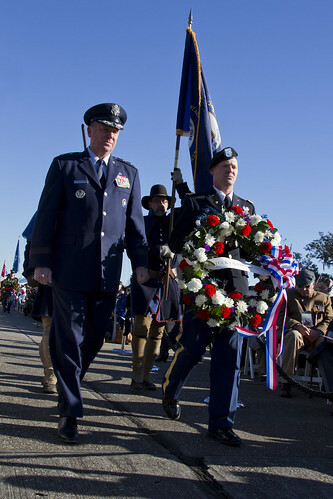 Maj. Gen. Edward W. Tonini and Maj. Gen. Glenn H. Curtis, adjutants general of the Kentucky and Louisiana National Guard respectively, participated in a wreath laying at the Chalmette Monument. The wreaths joined those of the Choctaw Nation of Oklahoma and the British Embassy for the United Kingdom among others in a symbolic display of unity of allied nations and people from various walks of life. 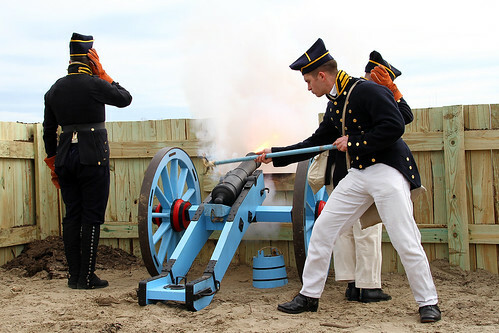 Throughout the weekend, events honored the battle, those who fought it and the 200 years since. To see more photos, visit our flickr site here. In addition to the National Park Service event at the battlefield, hundreds of reenactors set up a period encampment in St. Bernard Parish. Tonini was on hand to recognize the members of the 2nd Kentucky Militia Reenactment Group with a signed proclamation from Gov. Steve Beshear naming Jan. 9, 2015 as 2nd Regiment, Kentucky Volunteer Milita Day in the Commonwealth. The living history event also included bivouac tents, artillery pieces and a reenactment of the battle.